The troubles of having oily skin are never-ending. 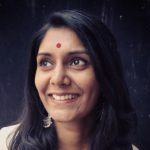 I am sure you must have tried everything possible in the market to control the oil on your face, but have just been more frustrated with the results! But hey, have you tried face serums for oily skin? If you are wondering what face serums are, then you are at the right place – we have all the answers to your questions. They are the single best product for targeting the problems of oily skin (breakouts, grease, and whiteheads) and healing them in no time. Serums are different from other skin treatments because they are made of smaller molecules that easily penetrate into the skin. Therefore, they start working on the problem immediately. You must try one of these to feel the difference in your skin. Here are 9 of the best serums for oily skin. Take a look. 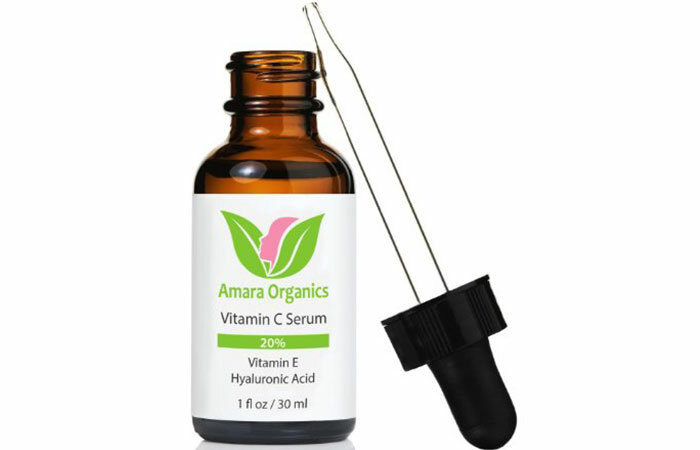 Amara Organics Vitamin C Serum clears your face of pimples or blemishes by reducing the pore size and lightening acne scars. This serum contains vitamin E and hyaluronic acid, which are great for making the skin tone even and reducing fine lines. It also adds a glow to your skin. 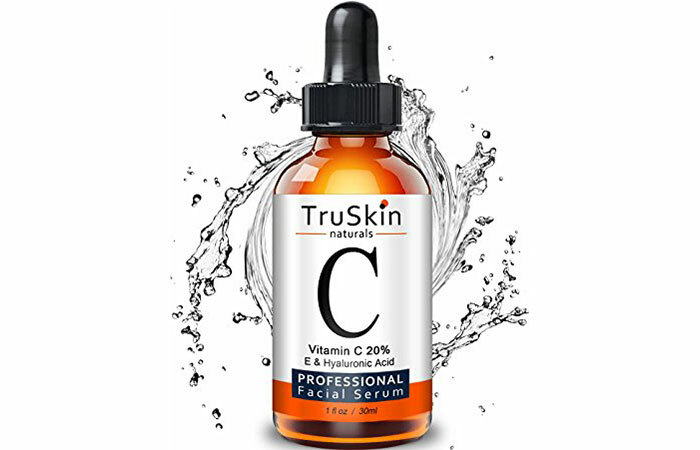 TruSkin Naturals Professional Facial Serum treats skin aging signs like wrinkles and dark spots effectively. 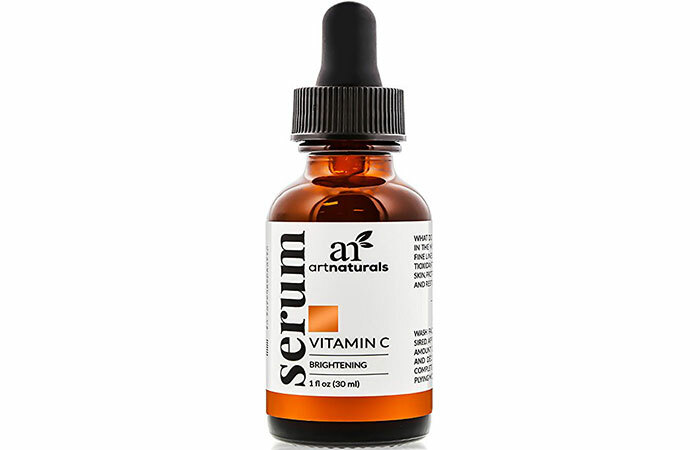 This serum contains vitamin C, which improves your skin tone, reduces breakouts, and treats sunspots. ArtNaturals Anti-Aging Serum repairs damaged skin and improves its texture. It also brightens the skin and makes it glow. This serum is a concoction of vitamins and plant extracts that stimulate collagen production. 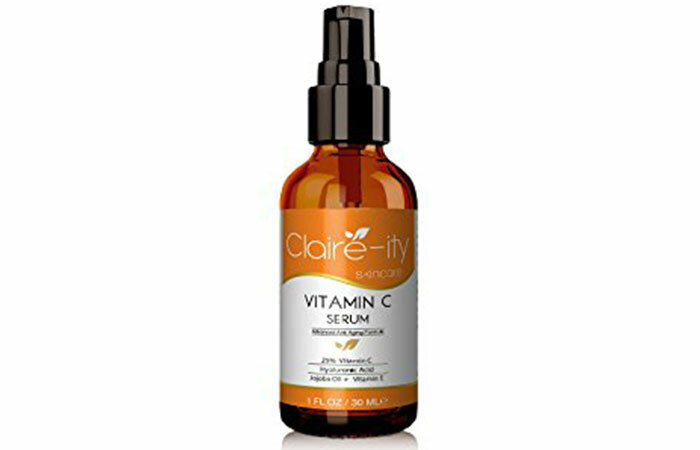 Claire-ity Vitamin C Serum stimulates collagen production in the skin and delays the signs of aging. The serum contains a high concentration of vitamin C that works like magic on your skin and makes it glow. It also has jojoba oil and vitamin E, which are great skin health boosting ingredients. 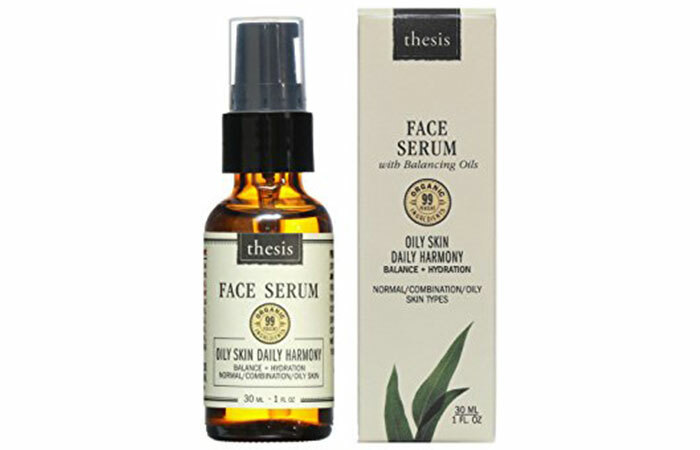 Thesis Face Serum hydrates and balances your skin. It is perfect to use right before applying makeup. This serum contains many balancing oils such as jojoba, grapeseed, lavender, and rosemary that are non-clogging and work perfectly for balancing your oily skin. 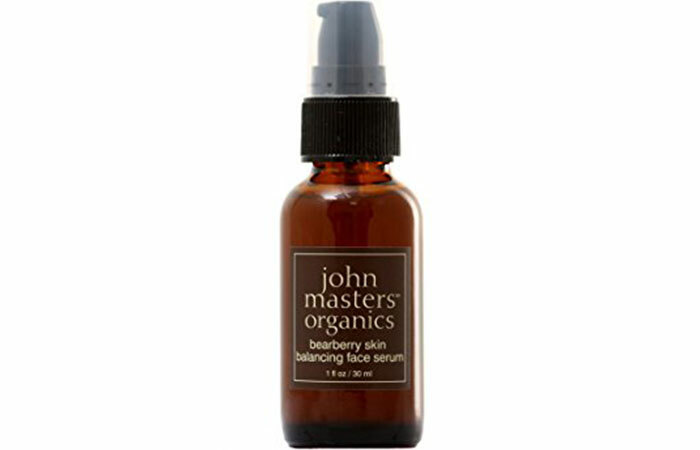 John Masters Organics Skin Balancing Face Serum soothes the skin and fights blemishes. It penetrates deep into the skin and controls the oil production. This serum contains bearberry, willow bark, and rice extracts that aid in balancing the skin’s sebum production. 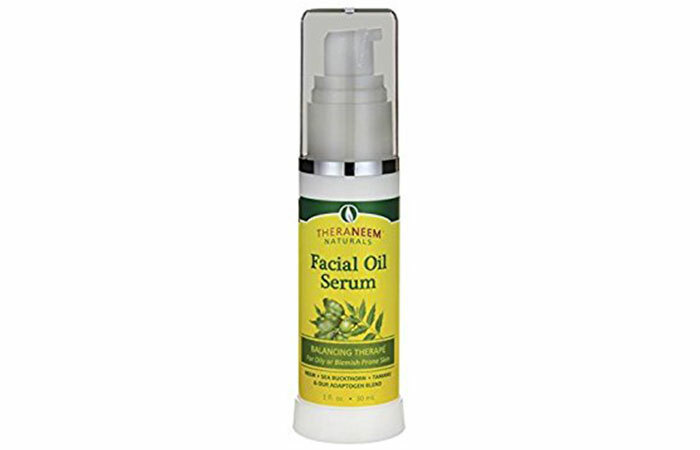 Theraneem Naturals Facial Oil Serum works great on oily and blemish-prone skin. It soothes the skin and controls breakouts. The serum contains neem and sea buckthorn, which balance the skin tone and improve its texture. Active Organics Face Serum minimizes pores and balances the sebum production in the skin. It also reduces signs of aging and can rebuild the layer of skin. 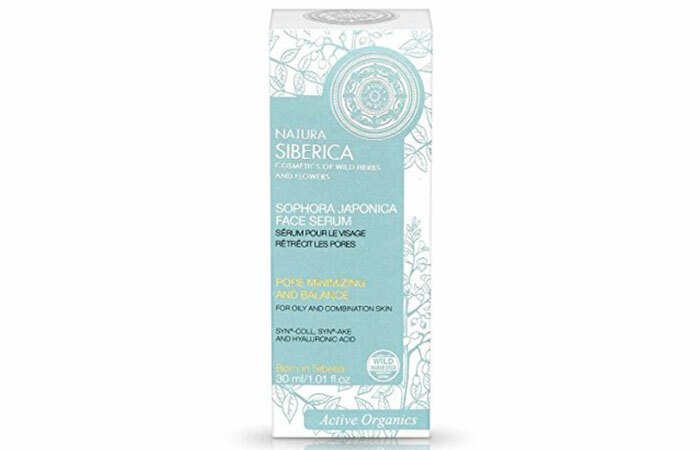 This serum contains organic extracts from the pristine wild lands of Siberia that heal your skin naturally. 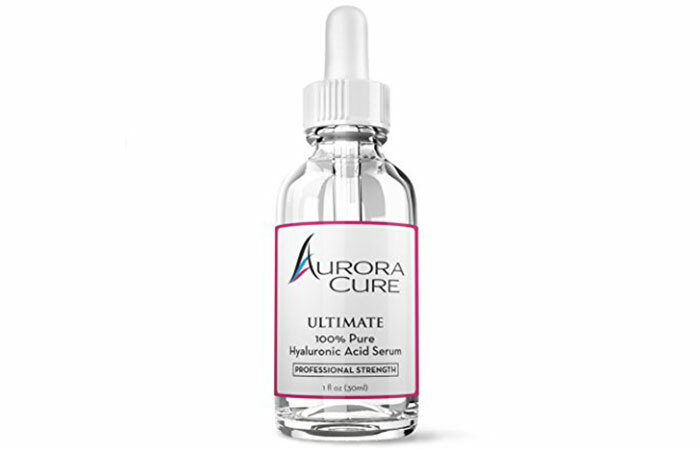 Aurora Cure Serum firms and plumps up your skin. It is intensely hydrating, and smoothens fine lines. This serum contains the best quality hyaluronic acid that effectively refines your skin’s outer layers, protecting it from premature aging. Greasy faces are a big no-no. They don’t cut a good picture and are also a breeding ground for skin eruptions. The best and the easiest way to deal with them is by using a face serum. So, what’s keeping you from trying this miracle ingredient already? Do tell us in the comments section below about what you think of them. How often can I use a face serum? You can use face serums every day – as a base before you apply makeup in the mornings and as an overnight treatment before you go to sleep at night. How quick are serums in giving results? That depends from product to product, but usually, serums are quicker to show results than other products because of their formulation. So, it shouldn’t take long before you see a difference.